PPG conference guest speakers, at PLG (Professional Logistics Group), has devised a transport frame that overcomes one of the biggest hurdles for rail shipment of wind turbines and has built a new transport service on the back of the innovation. Designers at PLG of Oak Park, Illinois, created the containers with interchangeable interior plates. These accommodate blades of different sizes and makes, as well as offering different storage configurations. 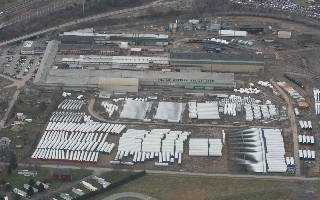 That versatility allows for far more rail forwarding of turbine blades arriving by ship. Project Professionals Group, will continue to market its oversize logistics capabilities to the growing renewable energy industry, particularly wind power, according to the group’s general manager Kevin Stephens. 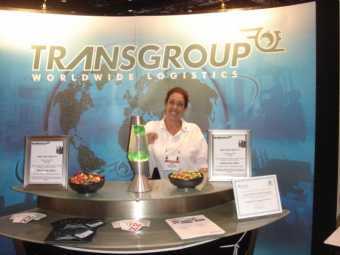 Mr Stephens said PPG members TransGroup Worldwide Logistics and Rhenus Logistics had recently returned from the Windpower 2008 Conference & Exhibition in Houston, Texas, and had reported excellent feedback in regard to potential new business opportunities. Following its successful launch in August 2007, PPG can now proudly claim to be the largest dedicated project forwarding network with 119 Member locations in 86 countries worldwide. This wonderful effort was achieved in just six months after incorporation and we take this opportunity to thank our Advisory Committee, headed by Susan St.
Project cargo specialists, Project Professionals Group, has passed the 100 members milestone since its formation in September last year. PPG‘s General-Manager Kevin Stephens said today from the group’s Brisbane headquarters that the PPG now had 101 member offices listed in 71 countries. 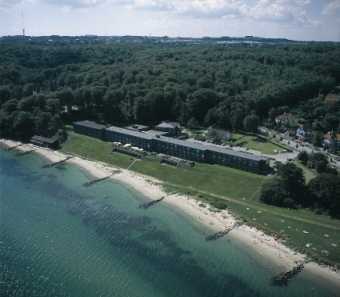 He also confirmed 90 participants from 60 countries had registered so far to attend the organization’s inaugural conference in Aarhus, Denmark, from August 27-31. In a world first, the world’s largest and most innovative Project Cargo Network, Project Professionals Group (PPG), has met with the United States Environmental Protection Agency to explore eco-friendly transport solutions. Consequently, PPG has been accepted as an Affiliate Member of SmartWay. PPG General Manager Kevin Stephens, based in Brisbane, Australia, and advisory committee chair and Director of Projects, TransGroup Worldwide Logistics, Susan St. Germain met recently in Seattle with the United States Environmental Protection Agency SmartWay Transport Partnership to discuss initiatives that increase energy efficiency while significantly reducing greenhouse gases and air pollution. On behalf of client, SN Multilink, Megalift’s scope of work included: Using 160 tonne and 150 tonne mobile cranes for direct receiving from vessel to barge at Jurong Port, Singapore and lashing the boat onto the barge; Sea transportation from Jurong Port, Singapore to West Port, Port Klang, Malaysia; Unlashing of boat from barge; Lifting of boat from barge onto a 12 x axle (2 files) multi-axle trailer at West Port, Port Klang, Malaysia; Inland transportation from West Port, Port Klang to Mines Resort City, Seri Kembangan, Selangor, Malaysia. PPG Cambodia "Ties The Knot"! PPG Cambodian Member, Mr. Por Sour of Global Link Service, has "tied the knot" and married his long-time campanion, Ms. Pen Chantha on 19th January 2008. We wish Por (39) and Pen (26) every happiness and success for their future married life. In a huge traditional wedding, Por and Pen were married in Phnom Penh in front of 1,000 special guests including relatives, friends, freight forwarders, GSA airfreights, shipping line managers, port directors, customers and overseas guests from Thailand, Malaysia and New Zealand. As part of their cultural wedding, Por and Pen spent their honeymoon in nearby Twon, but Por has promised his new wife an overseas trip to Thailand and other countries in the near future. In Cambodia Global Link Service provides a wide range of transportation and total logistics services including air freight, sea freight (Project, FCL & LCL), coastal shipping, inland transportation, customs clearance and cargo door to door delivery services. PPG Vietnam Help Put Out Fires! As project cargo specialists, Project Professionals Group, are often called upon to complete unusual shipments for clients, none more so than the recent transportation of 26 new fire trucks for use in Vietnam. 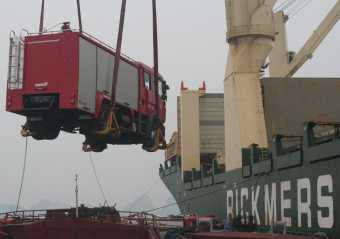 PPG member for Vietnam, Vantage Logistics Corporation, was responsible for the successful transfer by barge of the 26 fire-fighting trucks from the Rickmers-Linie vessel’s anchorage in Hai Long Bay to Hai Phong Port 100 klm from Hanoi for distribution throughout Vietnam. The consignment of 26 pieces, every one red and identical, will be used at different fire brigade stations across the country. Each truck was 7.6m long and eight tonnes in weight. The trucks were driven to the DP World Breakbulk Terminal at the Churchill Dock in Antwerp, where they were loaded onto the ocean vessel. Coincidentally, Rickmers Seoul was the first Rickmers-Linie’s “Round-the-World Pearl String Service” vessel to be handled in Antwerp by DP World Breakbulk since Rickmers-Line joined DP World Antwerp and Conti-Lines as a shareholder in the terminal on 1 January 2008. Founding PPG Member and close friend, Mr. Cecil More, has announced his retirement. 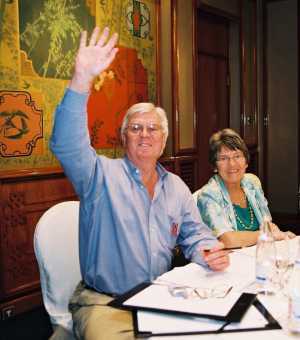 Cecil and his lovely wife Jean (pictured right), in the interim plan to devote their time between their 55 acre retreat in the mountains at Bushmans Nek, as well in their Durban home. Cecil is a Fellow of the Institute of Chartered Shipbrokers (FICS) London; Graduate School of Business Programme for Management Development, University of Cape Town; Knight 1st Class, Polar Star (Swedish Award); and Knight 1st Class, Royal Order of Merit (Norwegian Award). The worlds largest dedicated project forwarding organisation, and Global logistics solutions provider, Project Professionals Group, gathers in Aarhus, Denmark, in August, to discuss key issues impacting on the project cargo industry. PPG‘s General-Manager Kevin Stephens said today (15/2/08) 108 participants have already confirmed attendance at the conference held in association with DSV Air & Sea A/S Project Division, one of Europe’s leading project forwarding and logistics companies; Transgroup Worldwide Logistics, a leading project forwarder in USA; major multi-purpose shipper Rickmers-Linie GmbH; specialist heavy-lift project cargo carriers Beluga Chartering GmbH; Combi Lift and SAL; leading heavylift airline Ruslan International; The Aarhus Port Authority and The Port of Corpus Christie Authority.